Andrew Whitworth, offensive tackle for the Los Angeles Rams, spent some time at a local elementary school reading. Each year, Read Across America helps connect students with sports figures and they read. Just read. 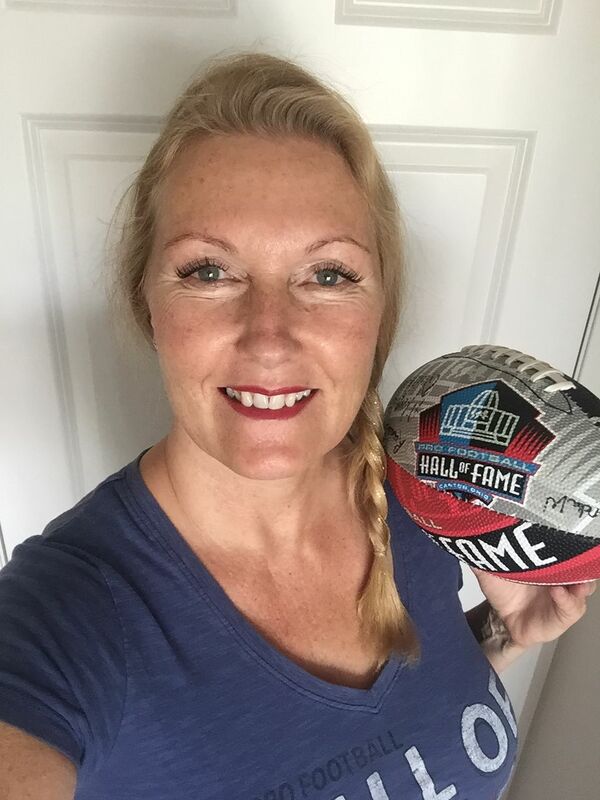 #TackleReading, a book/movement supported by the NFL, and founded by our friend Kathryn Starke, is worth checking out if this interests you. Atlanta Falcons are doing their part to help others in Atlanta. Here is a great article on how the organization is working to improve the physical fitness of the area youth. Defensive end Julius Peppers announced his retirement from the Carolina Panthers. What does he want to do now? Spend more time within his community. Read more here. The New Orleans Saints are all for honoring the excellent educators in the area. This one’s fun, have a look at this video. The NFL’s Salute to Service program isn’t just a one-month event, it’s ongoing. Four players from various teams in the league had first-hand experiences of what military life is like. Quarterback Chase Daniel of the Chicago Bears was one of them. Detroit Lions Charities supports transformational efforts in Detroit’s underserved communities. Focusing on sustainable health and wellness initiatives and community well being, the Detroit Lions supports organizations that pursue integrated approaches to physical fitness, healthy eating, education, cancer and domestic violence prevention. Since 1991, Detroit Lions Charities has donated $12 million to support non-profits, contributing more than $2.4 million in 2017. Green Bay Packers held their annual Tailgate Tour experience this past week. 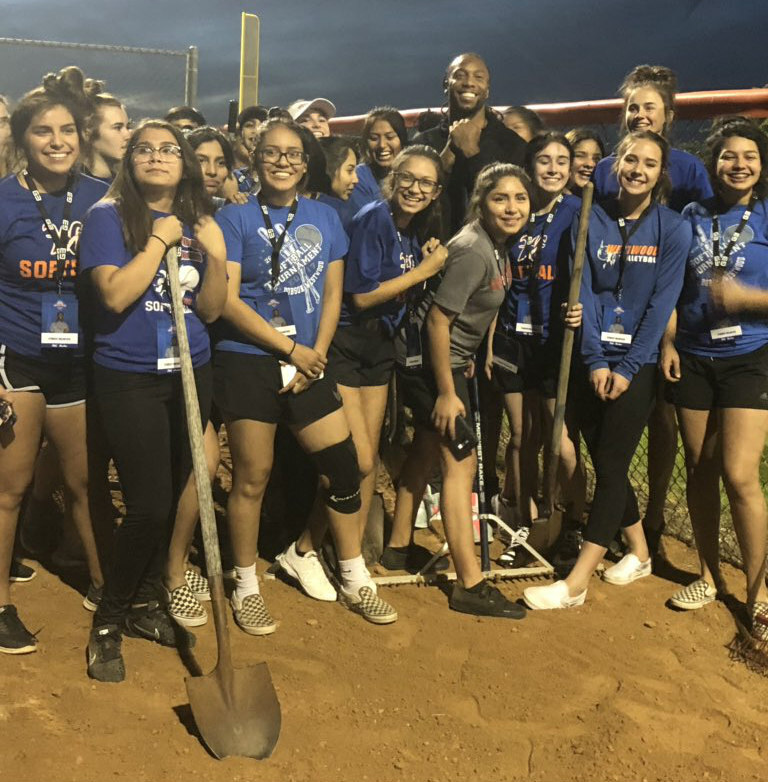 Habitat For Humanity was one of the organizations to benefit from the week-long event involving players from the team touring around Wisconsin. Angi Schreiber, executive director for the organization, was happy with the publicity. She feels there is a misunderstanding in what they give back to the community. Recipients are not just given a house, they are educated on home ownership and finances. They are also required to participate in the building or renovating of their new home. Saquon Barkley of the New York Giants has a focus for 2019. “I want to be more active with stuff like this. Giving back and visiting schools, visiting people and starting up my own foundation,” he says. Looking forward to hearing more about this 2018 NFL Rookie of the Year doing good for others. There are many ways to give back. The Philadelphia Eagles initiated a different spin by inviting more than 100 high school coaches to participate in a developmental clinic for youth football. It’s always good when knowledge, from the pros, is shared. See the pics here. Clean clothes. We take them for granted. Unfortunately for many in our communities, this simple daily task of going to our closet for the day’s wardrobe doesn’t exist. Their only choice is dirty, smelly pants and shirts that have already seen many a day’s wears. Hmmm, do you think a young student would have a lot more confidence and be happier with clean clothes? What about that street person who is down on their luck? When we look good, we feel good. The Washington Redskins have been supporting Loads of Love (LOL) Laundry Centers for over a year. 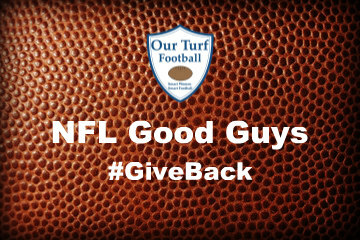 Members of the NFL are giving back daily. Above are only a few examples of how players, the league and NFC teams are making a positive difference in their environments. Tell me, who is your #NFLGoodGuy? 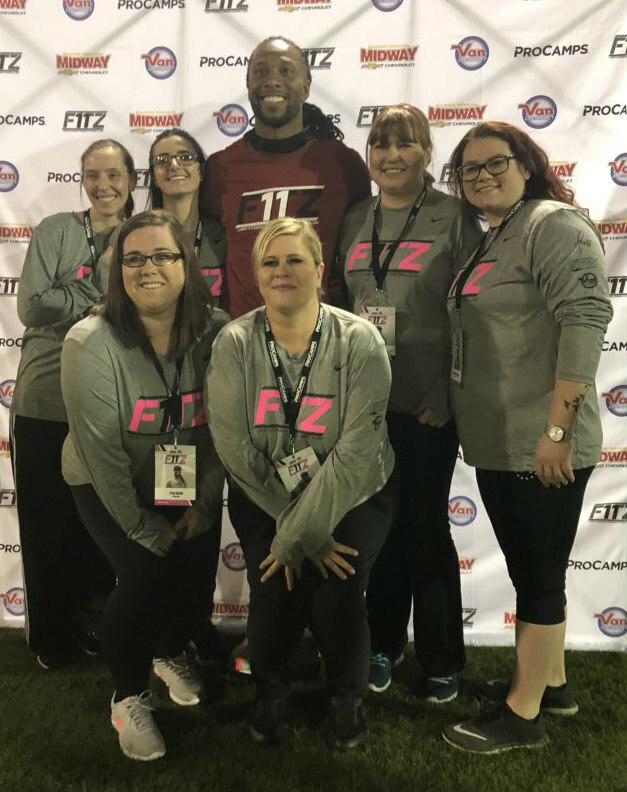 Posted on April 15, 2019 April 16, 2019 by Liz PanucciPosted in #GiveBack, Authors, Features, Liz PanucciTagged Andrew Whitworth, Chase Daniel, Detroit Lions, Green Bay Packers, Larry Fitzgerald, New York Giants, NFL Good Guys, Scott Wells.